You know the expression, strawberry fields forever? It’s the same thing for horseradish. Plant it and two years later you’ll need a machete to get out of your house, there’s so much growing! 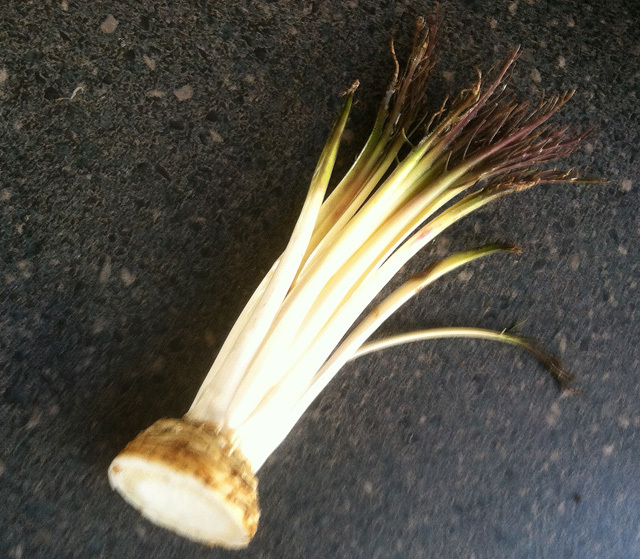 Horseradish is a root crop that is very popular in the spring and is used in Passover dinners as the bitter herb. It’s also terrific in Bloody Mary’s (as we all know!). Right now it is growing lushly and it’s starting to take over my little patch of herbs. You notice the momma plant and the baby plant. How did I start growing it? 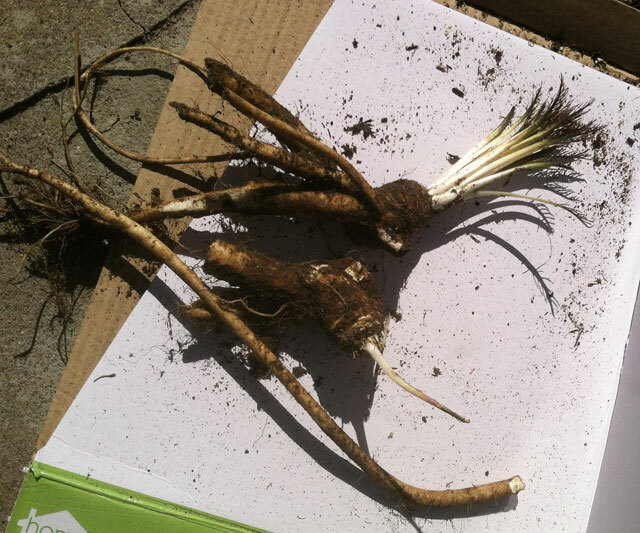 I bought horseradish in the spring, cut the top off and stuck it in the ground. 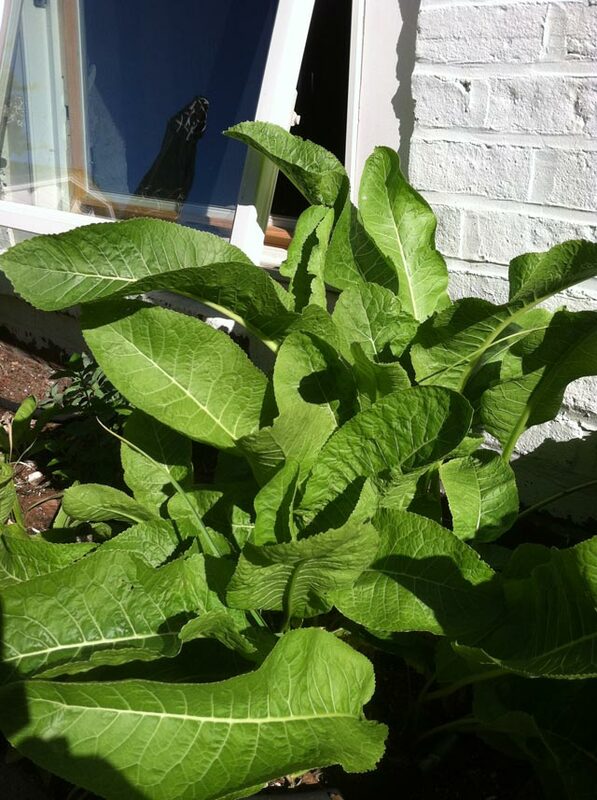 The next year, I had a horseradish plant ready for making horseradish. 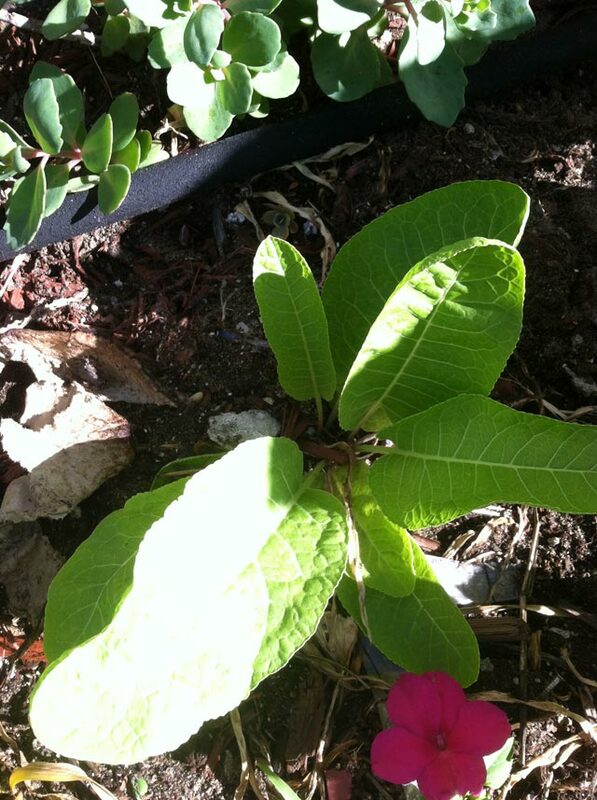 Continue to propagate your plant. From the winter, the top foliage dies back to the ground. Pull the plant up, root and all. Cut off the top and replant it. With the root, you will need to wash it thoroughly with a small nail brush or rough cloth to get all the dirt off. Peel it but be careful not to touch your eyes or face, the odor is very pungent and irritating. I tried to grate the root but I was overcome by the smell. You think you cry when you cut up onions? This stuff is 1,000% more powerful. Instead, I cut it up and put it in the chopper with a little bit of white vinegar. A couple of spins in the chopper and it’s got the consistency of the bottled stuff. It stays good a long time in the refrigerator.